Combine classical music library, open content and long-term availability | Joyeuse errance ! I ran lately into serious questioning about my CD library of classical music. If I decide to expatriate myself for a few years, should I take away all my CDs? Isn’t there any clever means to access them from anywhere? The first option would be to take them all with me. No way, there are too many, and a long trip is the best way to break some of them. I hence have to transfer their content onto my computer. As they contain classical music, most of which corresponding to legendary recordings, I don’t want to spend hours transferring their content to get lousy MP3 files at the end. First of all, MP3 is patented, meaning it is not free: in our era in which copying a computer file is over-simple, it’s a non-sense to patent a format. Second, MP3 is lossy, meaning it’s not possible to recover all of the data: quality is lower than on the initial CD. Hopefully, a free, lossless format exists, FLAC, which is supported by numerous audio and computer systems (laptops, media players, smart phones…): the long-term usability of my FLAC files should therefore be much better. Ok, for each of my CDs, I thus have to transfer their content into a FLAC file, which is straightforward with Rhythmbox, an equivalent of iTunes or Windows Media Player but… free, available by default on Ubuntu. But here lies another difficulty. Transferring a CD onto a computer requires the user to enter all the music details: artist, title, tracks…, a painly process. But here again, a great tool can help us. Rhythmbox automatically searches an online database with the technical features from the input CD and, if there is a match, retrieves automatically the music details. This online database, named MusicBrainz, aims at gathering reliable information about all CDs worldwide thanks to massive collaborative efforts (a kind of Wikipedia but exclusively for music, according to its founder). I therefore decided to join this project (although it is open-content and not free-content). If one of my CDs is not part of the database, I insert its music details, therefore allowing everyone to freely access them after me. 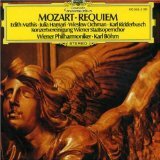 And if the CD is already inserted in MusicBrainz, Rhythmbox automatically retrieves its details, such as with this one, the Mozart Requiem directed by Karl Böhm in 1971. And by the way, I also have the possibility to keep online a list of my CD collection, which is quite nice. If I lost a CD I love or if I want to buy another copy of it to make a gift to someone, I’m sure to retrieve all its details in order to buy it again. Finally, I know have to focus on the fact that my computer hard-drive is rapidly filling up, hell yes. FLAC being lossless, it generates big files, smaller than whole CDs of course, FLAC cleverly compresses the audio data, but still! Instead of buying an nth external hard-drive, which is a simple solution but prone to disaster if I loose the given hard-drive, I am thus thinking of renting hard-drive space to OVH. But it’s another story. This entry was posted on mercredi 26 janvier 2011 at 23:55 and is filed under Art. You can follow any responses to this entry through the RSS 2.0 feed. You can leave a response, or trackback from your own site.